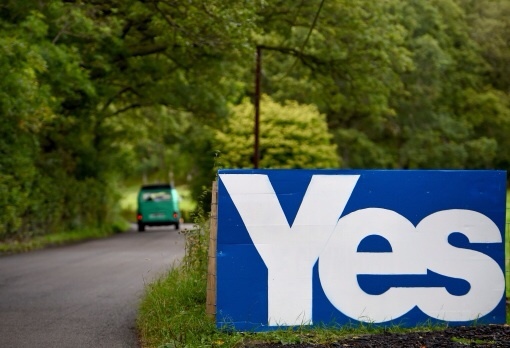 Independence Referendum #2- Is it the Perfect Storm? I am not a lawyer, a journalist or a politician. Who am I? I wear many hats, but for the sake of this piece, let’s call me an activist. There has been quite a bit written lately about the timing of a second independence referendum. Many different views. Every position from Scotland should declare immediate UDI, to we should not discuss the matter again until our unborn grandchildren are grandparents. I guess my own position falls somewhere in between. I don’t agree that it is advantageous to wait too long. I happen to believe the next 5 years offers the best opportunity to secure a YES vote. I know many people will disagree, but here’s one activist’s POV. We currently have one of the most destructive Westminster governments probably since the Thatcher years. (some say it’s far worse than Thatcher, I can’t say for certain, I didn’t live here then). Add to that fact that the Labour party have proved to be a fairly pointless opposition party. Chocolate tea pots come to mind. In fact the only real opposition to these massive Tory cuts seems to be (ironically) the SNP. Then there is the Labour leadership race. Wow. In all my nearly 25 years involved in various political campaigns, I have never witnessed a party destroy itself so passionately. As a political nerd (and watching on the sidelines, as it’s not my party) it is quite something to behold. But that’s for another blog. On the Scottish front it appears the SNP are set to gain even more seats in next year’s Holyrood elections. Labour are set to be the biggest losers, not holding a single constituency seat. In fact there is talk they may not even be the second largest party in Scotland come May 2016. Who could ever have imagined this? Labour aren’t exactly going to be in a great position to command much support for being strong NO to independence advocates. So we have a perfect storm for a second independence referendum in 2019. (5 years after the first referendum). The prospect of another 5 years (at least) of Tories holding the reigns at Westminster. A diminished Labour party, still fighting between its left and right factions. Plus the very real possibility that England may have pulled Scotland out of the EU against her will. If you are looking for a better backdrop to asking the citizens of Scotland if they want to stay tied to Westminster any longer, I dare say even the SNP could not have hoped for a better set of circumstances. I understand and have read the reasons for waiting 10, 20, 30 years for another referendum. But I disagree that would be advantageous. Politics is constantly evolving and changing, as is our world. By that time, we may not even have a welfare state or an NHS any longer. The population will be worn down, but quite used to their plight. Too tired to fight, apathetic to the shift in lifestyle. Mostly forgetting when the state cared. So I say the time is never better than in the near future to fight for a better, fairer Scotland. I truly believe we can win this one. There has been much discussion in the mainstream media (and social media) about Full Fiscal Autonomy (FFA) for Scotland. 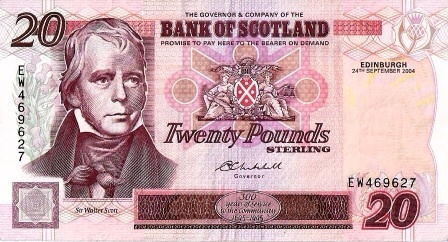 I will make clear from the start this is not another blog to debate how rich or poor Scotland would be if the Scottish government had full control over all its financial revenue. But in the countless articles I have read about FFA, no one has ever pointed out (including the Scottish government) that we here in Scotland actually have no idea how much revenue we actually generate. You see it’s all done as an estimate, based on Scotland’s percentage of the UK tax revenue. And lest you think I am fabricating this fact, here it is. It’s not a long document, but the highlight is on page 4. While actual Scottish tax revenue data are available for taxes such as council tax and non- domestic rates, they are often not available for taxes administered by the UK Government. As a result, Scottish tax revenues are estimated by allocating a Scottish proportion of UK tax revenues. Basically all reserved Scottish tax revenue, which is nearly all our revenue is an estimate. There are no actual figures provided by the UK government. It’s just a rough percentage of Scotland’s proportion of all UK tax revenue. So if say, (I am using a random figure here) the UK yearly tax receipts were £500bn, and Scotland is considered 6% of the UK tax receipts, we can say that Scotland’s annual tax revenue is £30bn. But what if in reality, Scottish tax receipts really accounted for 15% of all UK tax revenue. Well £30bn now becomes £75bn. That’s a pretty sizeable contrast, and would make a significant difference to the Scottish economy. So why is the true figure being hidden from, not just the Scottish public, but more importantly the Scottish government? And why is this not ever challenged? I have read countless articles and blogs from unionist supporters, telling us Scotland would have a massive deficit of billions if we were granted FFA. This is then challenged by independence supporters. But I have not read anything stating that actually no one has the slightest idea how much tax revenue we in Scotland generate. Why? I am so perplexed by this fact. Are we really much poorer than the Scottish government want to publicly admit (although how would they even know)? Or are we so much wealthier than any other part of the UK including London, that Westminster is terrified to allow anyone in Scotland to have access to the true figures? What do you think? I am no economist, no math wizard, and find filling out a tax form mind numbing, but there is something very odd about all of this. If anyone who reads this would like to offer their opinion on why we are given an estimate of the money we generate, I am all ears.